This jacket has long-sleeves, a zipper and is PERFECT to layer with this winter. As I've stated before, men, you can stretch your wardrobes a whole LOT farther, by acquiring high-end pieces when they are priced less than retail and wear them several different ways. GF (Gianfranco) Ferre runs slim (has a European cut), and is , similar to an Armani Exchange fit (for reference). 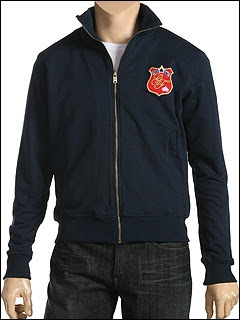 The colors in this jacket are known as the colors that most guys like to wear on a regular. 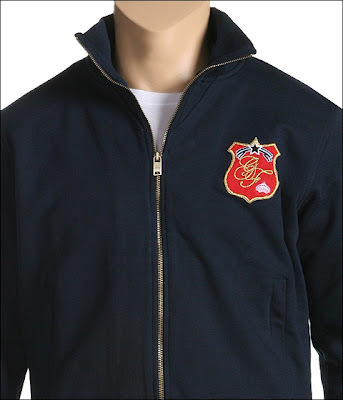 The details are in the crest of this jacket. And those details are splendid. I think wearing crests on clothes gives people a sense of being an authoritative figure or at least an added touch of flair. Retail Price is $284 but Current Price is $151. Size available - 2XL or US 46. For purchase information contact Notable Styles & More via gmail.